#ItsADeal: LBB Users, Score 20% Off Your Bill At This Gurgaon Bar All Month! Yasss, Queen! 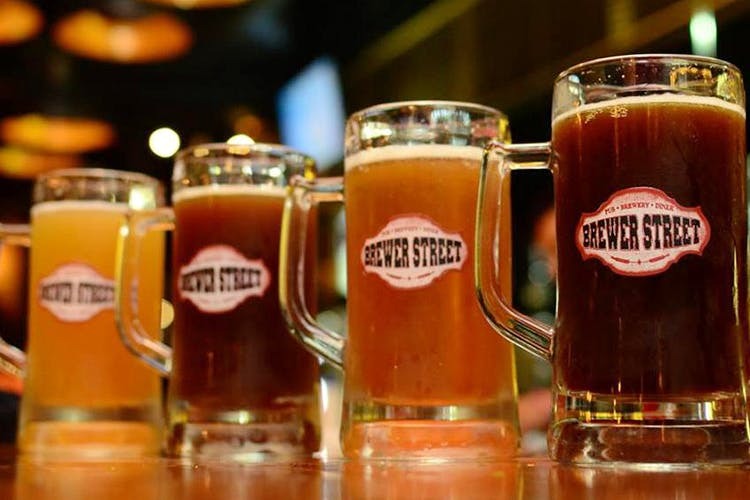 Gurgaon’s Brewer Street microbrewery is giving us all the more reasons to up the party game through the first quarter of 2019. If you’re an LBB user (and they’ll know this if you flash the LBB application on your mobile phones), you stand to get 20% off flat on your entire bill! So get your plans rolling already and get ready for a really epic time before the summer beckons. Whether you’re a gang of girls or a group of guys, this one is for everyone. If you’re someone who’s always dreaming of food and alcohol and get cheap thrills with amazing discounts on your fave meals, this one’s unmissable! Legendary drinks and food for the entire squad at the beautiful sky bar terrace, grooving to live music and playing on the cool XBox console—who wouldn’t want all this with a lighter than usual bill? Add to that Brewer Street’s absolutely gorgeous vibe, plush interiors and amazing cocktails. Sounds like the perfect night out, right? The offer* is valid at the Brewer Street, Sohna Road bar all up till 31 March 2019. So spread the news far and wide and block your friends’ calendars right away! This one’s unmissable if you’re hoping for a memorable boozy night. Follow Brewer Street on Facebook and Instagram to stay tuned to all updates.